Unfolding right now at #AndroidDevSummit! Today, at the Computer History Museum in Mountain View, CA, we kicked off the Android Dev Summit, taking a look back at the last 10 years of Android and then jumping into some important new features for Android developers. Here's a look at some of the things we shared! As early as Android 1.6, Android and our partners have contemplated different screen sizes and densities, enabling the platform to power a broad category of form factors and new experiences like Android TV, Android Auto, Wear OS and even Android apps on Chromebooks. Phone screens are an area where Android partners set the bar, introducing "phablets" when phone screens were small. Fast forward to today, when a phablet is... just a phone, a standard size users have come to love. Now we see a Android device makers creating a new category: Foldables. Taking advantage of new flexible display technology, the screen can literally bend and fold. There are two variants broadly speaking: two-screen devices and one-screen devices. When folded, foldables look like phones, fitting in your pocket or purse. When unfolded, their defining feature is what we call screen continuity. For example, start a video with the folded smaller screen - and later you can sit down and unfold the device to get a larger tablet-sized screen for a beautiful, immersive experience. As you unfold, the app seamlessly transfers to the bigger screen without missing a beat. We're optimizing Android for this new form factor. And, making changes to help developers everywhere take advantage of the possibilities this creates for amazing new experiences, new ways to engage and delight your users. Tune in to the Foldables session at Dev Summit this week to learn more. Expect to see Foldables coming from several Android manufacturers, including one Samsung previewed today and plans to offer next year. We made Kotlin a first class language on Android in 2017. This month we had over 118,000 new projects using Kotlin started in Android Studio - from those users who opt in to share metrics. That's a 10X increase from last year. It's become the fastest growing language in terms of growth of number of contributors on GitHub, and voted the #2 most loved language on Stack Overflow. In our surveys, the more developers use Kotlin, the higher their satisfaction. Inline classes allow you to create a type which doesn't allocate unless boxed. For the constrained devices that Android apps target, avoiding allocation while retaining type-safety is a big advantage. Unsigned numbers are now part of the Kotlin standard library including UInt, UByte, and ULong. These new types are built using inline classes. Coroutines support is now stable. 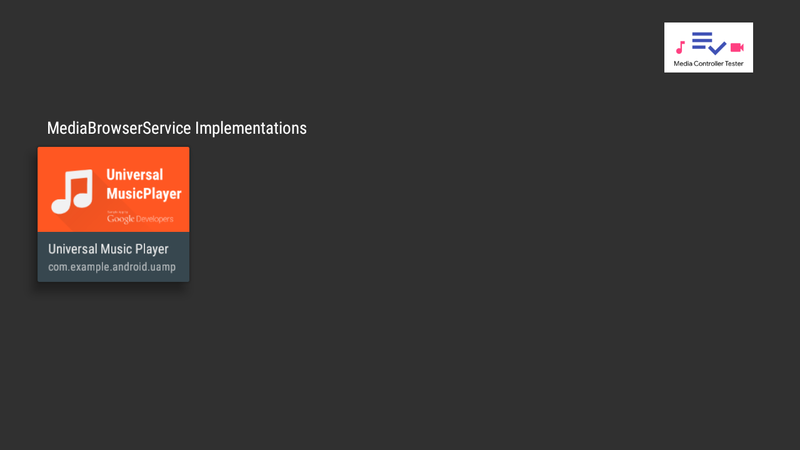 The language and library support combine to simplify how you interact with asynchronous operations and perform concurrent work–things that are essential to every Android app. All of these new features of Kotlin 1.3 will be integrated into the Kotlin-specific APIs that we provide–a majority of which are through KTX extensions as part of Jetpack. At Google I/O we announced Jetpack, the next generation of tools and Android APIs to accelerate Android application development. Jetpack builds on the foundations laid out by Support Library and Architecture. 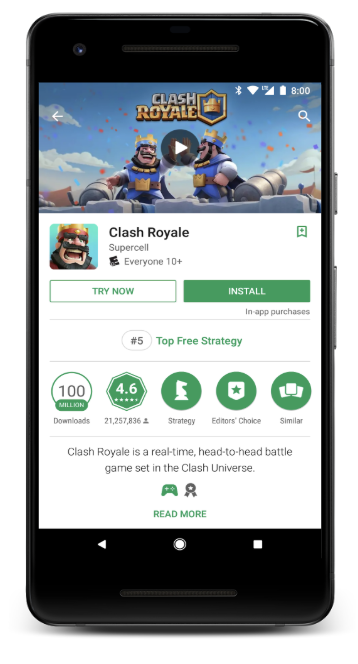 Already, 80% of top 1,000 apps and games are using one of the new Jetpack libraries in production. This summer we moved AndroidX - Jetpack's evolution of the original Android Support Library - to public AOSP. This means you can see features and bug fixes implemented in real-time, and contribute to any of the AndroidX libraries. You can learn more about contributing here. We've been working to get as much feedback and refinement as possible on two new Architecture Component libraries: Navigation and Work Manager, and we plan to move both to Beta this month. The Navigation Architecture Component offers a simplified way to implement Android's navigation principles in your application, using a single Activity. Plus, the new Navigation Editor in Android Studio creates and edits your navigation architecture. This eliminates navigation boilerplate, gives you atomic navigation operations, easier animated transitions and more. WorkManager makes it easy to perform background tasks in the most efficient manner, choosing the most appropriate solution based on the application state and device API level. 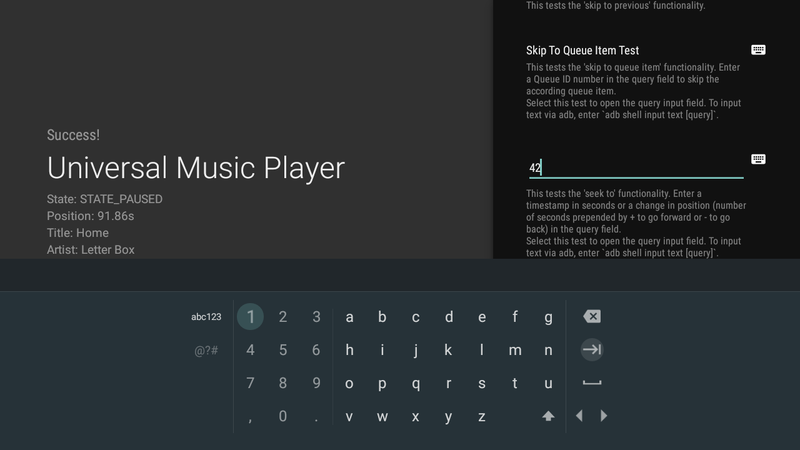 We're also excited to see Android Slices move to public Search experiments! At I/O this year we introduced Slices, a new way to bring users to your app. Slices are like a mini snippet of your app, where you can surface content and actions. You can book a flight, play a video, or call a ride. Slices is another example where we want to be open very early, but we want to take the time to get it right. We're moving into public EAP this month with Doist, Kayak and others. We'll run experiments surfacing Slices in Google search results. To learn more, there's also a session today at Dev Summit with more info and best practices. 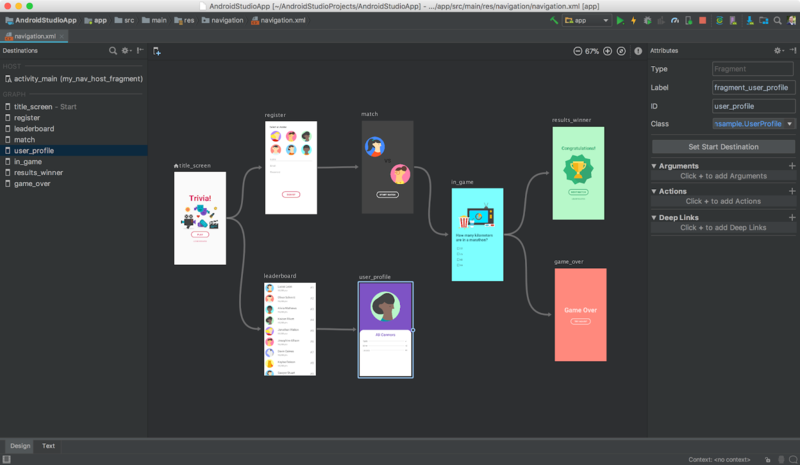 Android Studio is our official IDE for Android development. We asked where do you spend the most time? When we gather data from Android Studio's opted-in users we see that build time are getting faster with every release, sometimes as fast as 20%, but we also see build time getting slower and slower over time. So, how can both things be true? We've been digging in hard to understand. It turns out build is a pretty complicated ecosystem. Developer choices makes a huge difference. Our developers are using a very broad (and growing) combination of OSes, custom plug-ins, annotation processors, languages. All of these can significantly affect times. In one case, a plugin some users like to add was silently slowing build speeds by up to 45%. Learning this, we realized we need build profiling and analysis tools so you can easily understand what's slowing your build down. We're also investing more in our own plugins to accelerate performance to make sure we continue to improve the performance of core build. Android Studio 3.3 launches beta 3 today. In coming releases expect to see a strong focus on quality and fundamentals: reducing the number of crashes and hangs, optimizing memory usage, and fixing user-impacting bugs. We also announced today that we're making Android Studio an officially supported IDE on Chrome OS early next year; learn more here. App sizes have grown dramatically, up 5x since 2012. But larger apps have downsides: lower install conversion rates, lower update rates, and higher uninstalls. This is why we built the Android App Bundle, the new publishing format that serves only the code and resources a user needs to run your app on their specific device; on average apps see 35% size savings compared to a universal APK. The app bundle also saves you time and effort with each release since you don't need to use incomplete solutions like multi-APK. Android Studio 3.2 brought full IDE support of app bundles, and there are now thousands of app bundles in production totaling billions of installs, including Google's apps like YouTube, Google Maps, Google Photos, and Google News. The app bundle now supports uncompressed native libraries; with no additional developer work needed, the app bundle now makes apps using native libraries an average of 8% smaller to download and 16% smaller on disk on M+ devices. Once you switch to the app bundle you can also start modularizing your app. With dynamic feature modules, you can load any app functionality on demand instead of at install time. You don't need to keep big features that are only used once, on every single device forever; dynamic features can be installed and uninstalled dynamically when your app requests them. We've heard that you'd like more controls to ensure that users are running the latest and greatest version of your app. To address this, we're launching an In-app Updates API. We're testing the API with early access partners and will be launching it to all developers soon. You'll have two options with this API; the first is a full-screen experience for critical updates when you expect the user to wait for the update to be applied immediately. The second option is a flexible update, which means the user can keep using the app while the update is downloaded. You can completely customize the update flow so it feels like part of your app. We're also making instant apps easier than ever to adopt. We recently made using web URLs optional, enabling you to take your existing play store deep link traffic and send users to your instant experience if it's available. 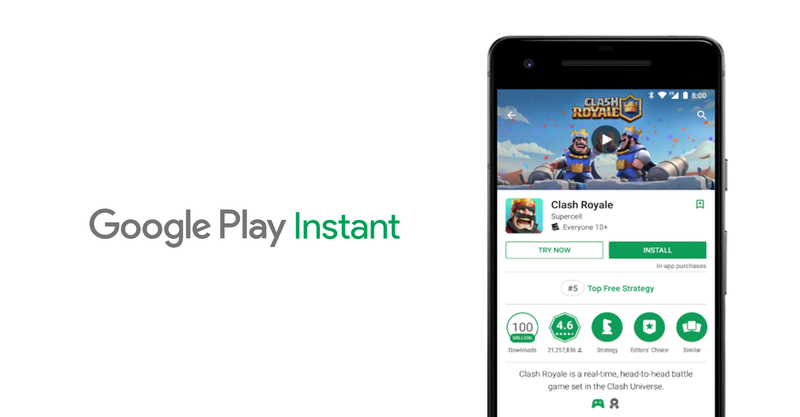 Additionally, we've raised the instant app size limit to 10MB for the Try Now button on the Play Store and web banners to make it even easier to adopt. 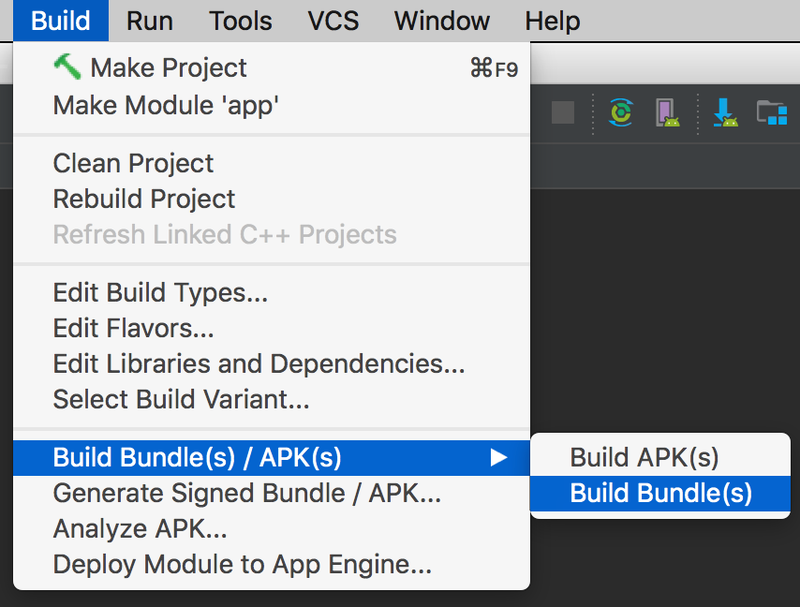 In the Android Studio 3.3 beta, you can now build an instant-enabled app bundle. 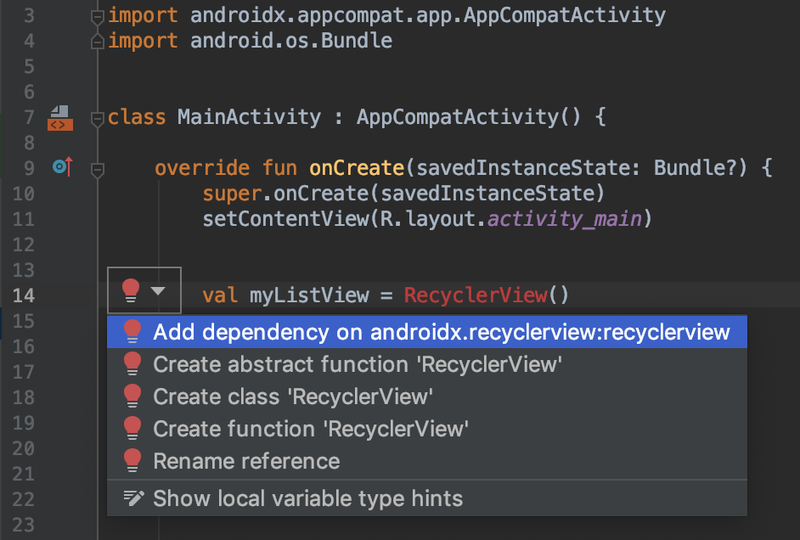 This means that you can now build and deploy both your Instant and installed experiences from a single Android Studio project, and include them in a single Android App Bundle. You only have to upload just ONE artifact for both instant and installed app. As developers, your feedback has been critical in shaping these investment areas; you are part of how we work, from early ideas, to EAPs and canaries, Beta, and iterating after launch. We hope you join us for the next two days whether you're watching the 30+ sessions on the livestream, joining social, or with us in-person in Mountain View. From the team, a sincere thank you for all your thoughtful feedback and contributions. We hope you enjoy Android Dev Summit. 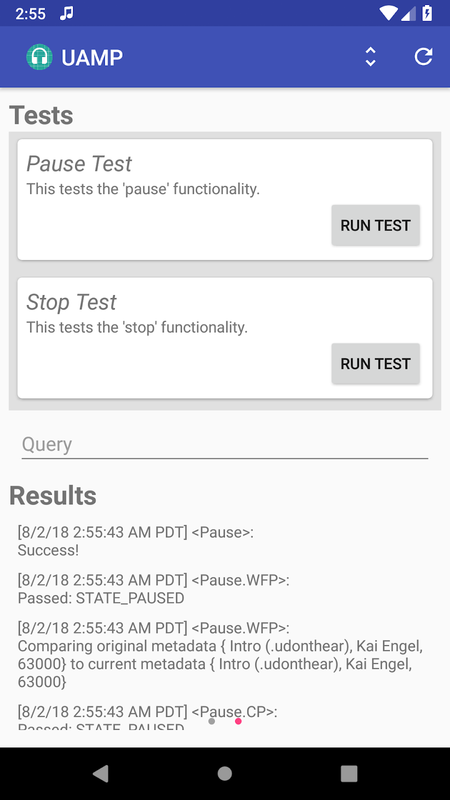 The Media Controller Test (MCT) app is a powerful tool that allows you to test the intricacies of media playback on Android, and it's just gotten even more useful. 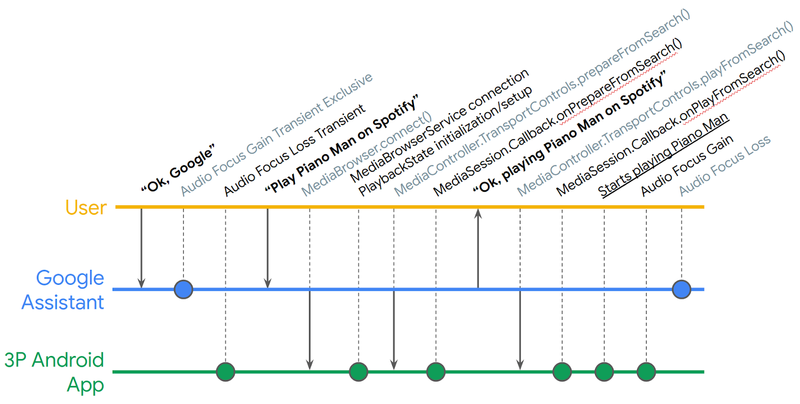 Media experiences including voice interactions via the Google Assistant on Android phones, cars, TVs, and headphones, are powered by Android MediaSession APIs. This tool will help you verify your integrations. We've now added a new verification testing framework that can be used to help automate your QA testing. 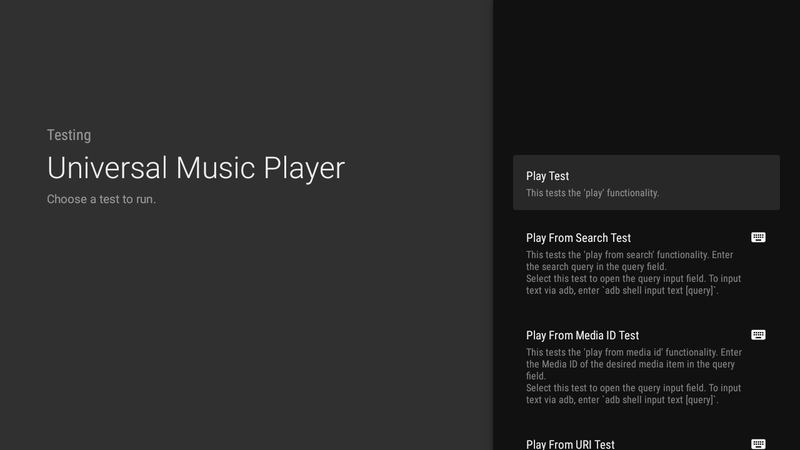 The MCT is meant to be used in conjunction with an app that implements media APIs, such as the Universal Android Music Player. 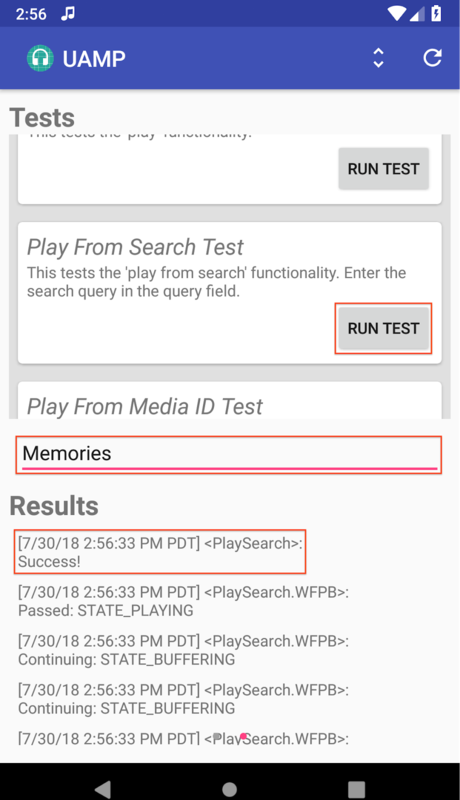 The MCT surfaces information about the media app's MediaController, such as the PlaybackState and Metadata, and can be used to test inter-app media controls. The Media Action Lifecycle can be complex to follow; even in a simple Play From Search request, there are many intermediate steps (simplified timeline depicted below) where something could go wrong. The MCT can be used to help highlight any inconsistencies in how your music app handles MediaController TransportControl requests. Previously, using the MCT required a lot of manual interaction and monitoring. 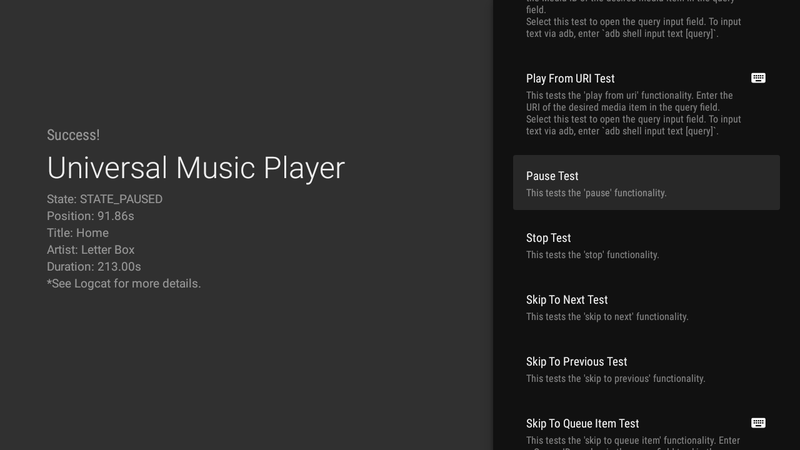 The new verification testing framework offers one-click tests that you can run to ensure that your media app responds correctly to a playback request. To access the new verification tests in the MCT, click the Test button next to your desired media app. 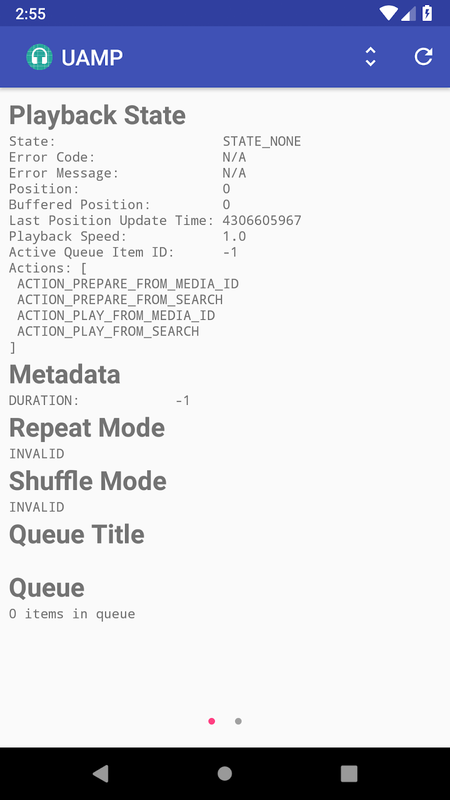 The next screen shows you detailed information about the MediaController, for example the PlaybackState, Metadata, and Queue. There are two buttons on the toolbar in the top right: the button on the left toggles between parsable and formatted logs, and the button on the right refreshes this view to display the most current information. 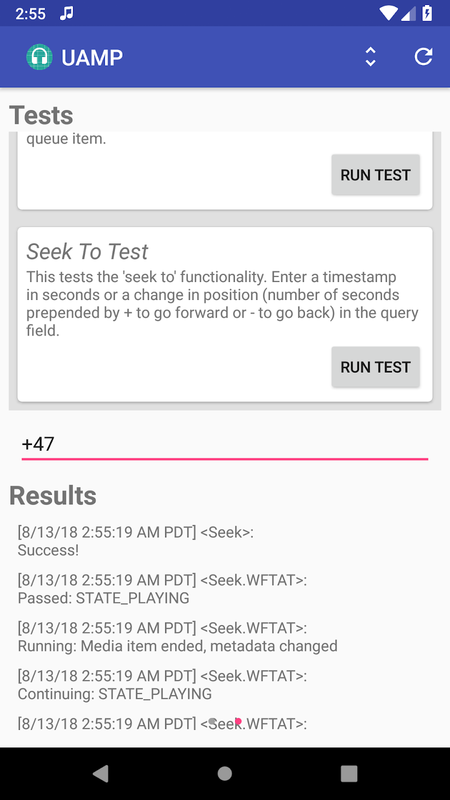 By swiping to the left, you arrive at the verification tests view, where you can see a scrollable list of defined tests, a text field to enter a query for tests that require one, and a section to display the results of the test. 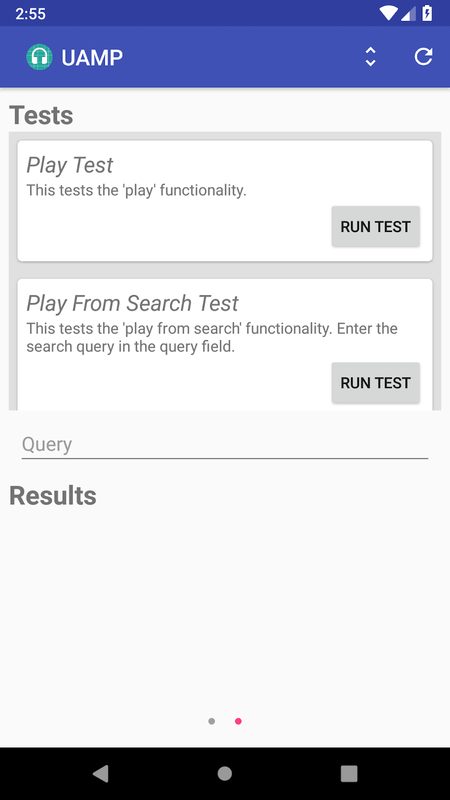 As an example, to run the Play From Search Test, you can enter a search query into the text field then hit the Run Test button. Looks like the test succeeded! Below are examples of the Pause Test (left) and Seek To test (right). The MCT now also works on Android TV! For your media app to work with the Android TV version of the MCT, your media app must have a MediaBrowserService implementation. Please see here for more details on how to do this. On launching the MCT on Android TV, you will see a list of installed media apps. Note that an app will only appear in this list if it implements the MediaBrowserService. Selecting an app will take you to the testing screen, which will display a list of verification tests on the right. Running a test will populate the left side of the screen with selected MediaController information. For more details, please check the MCT logs in Logcat. Tests that require a query are marked with a keyboard icon. Clicking on one of these tests will open an input field for the query. Upon hitting Enter, the test will run. Note that '%s' will add a space between words. For example, the command adb shell input text hello%sworld will add the text "hello world" to the input field. For a technical deep dive on how the tests are structured and how to add more tests, visit the MCT GitHub Wiki. We'd love for you to submit pull requests with more tests that you think are useful to have and for any bug fixes. Please make sure to review the contributions process for more information. Check out the latest updates on GitHub! Since the major revamp of the Android Emulator two years ago, we have focused on delivering a fast and feature-rich emulator to help you build great app experiences for users. Today, the Android Emulator is the top device deployed to from Android Studio — more than 2x over physical Android devices. We are humbled to hear from many of you that the Android Emulator has come a long way, but we are not done yet. Making the Android Emulator faster is one of the top priorities for the Android Studio team. Over the last few releases, we have launched quick boot & emulator snapshots for quickly starting and resuming emulator sessions in under 2 seconds. Up until now, our emulator experience has almost universally worked on macOS® and Linux computers. But for users of Microsoft® Windows® or the Microsoft® Hyper-V™ platform, our hardware accelerated speed enhancements for the Android Emulator only worked with computers with Intel® processors. 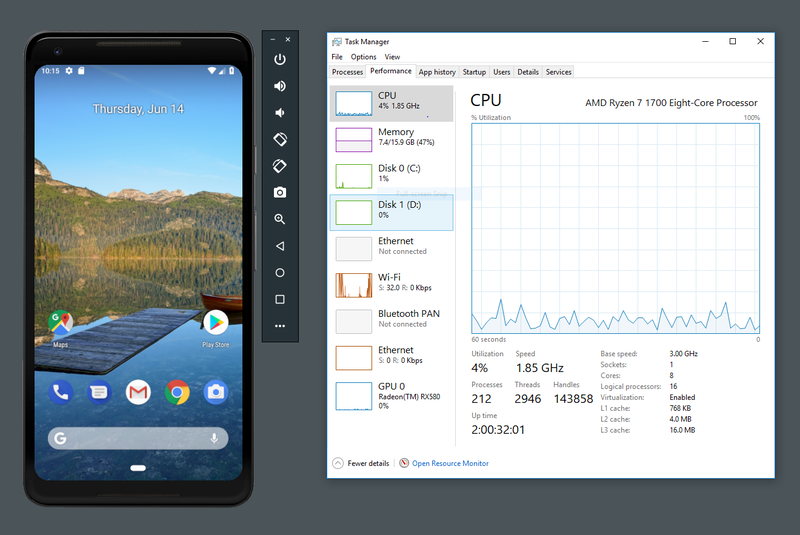 Support for AMD® processors and Microsoft Hyper-V hypervisor are two long-standing user requests from the Android developer community that we are happy to address with this Android Emulator update. Today, you can download the latest Android Emulator release, which is enabled to run x86 based Android Virtual Devices (AVD) on computers that use AMD processors. This exciting update makes the Android Emulator more accessible to a new set of Android app developers that were previously limited to software emulation, but can now have hardware accelerated performance. 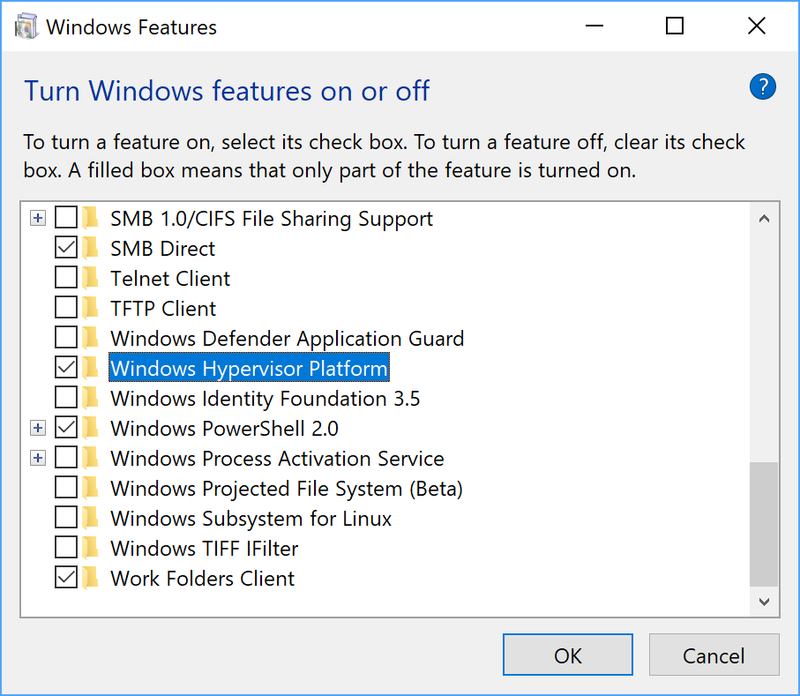 Moreover, for those of you who use Hyper-V to run your local app backend, the Android Emulator can now also coexist with other Hyper-V-backed applications on Windows® 10. Thanks to a new Microsoft Windows Hypervisor Platform (WHPX) API and recent open-source contributions from Microsoft, even more Android app developers can take advantage of all the speed improvements and features in the Android Emulator. Support for these technologies was initially available in the v27.3.8 Android Emulator canary release and today we are releasing this set of preview features (AMD processor & Hyper-V support) on the stable channel for more feedback. Alongside this update, we have added additional speed improvements in loading emulator snapshots for those developers using the Intel® Hardware Accelerated Execution Manager (HAXM). If you use Linux for Android app development, the Android Emulator will continue to use the native Kernel-based Virtual Machine (KVM) hypervisor for both Intel and AMD based computers for a fast and performant virtualization solution. 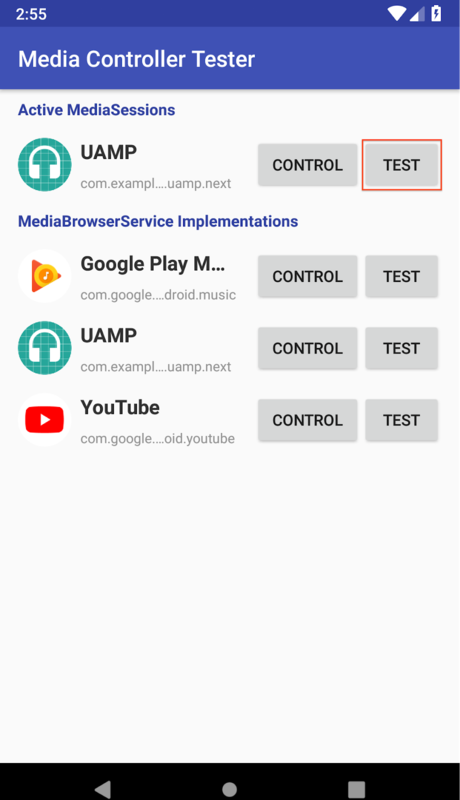 An update to the v27.3.8 Android Emulator will offer you the new snapshots UI along with improvements to performance, reliability and resource usage. For OS X v10.10 Yosemite and higher, the Android Emulator uses the built-in Hypervisor.Framework by default, and falls back to using the Intel Hardware Accelerated Execution Manager (HAXM) if Hypervisor.Framework fails to initialize (such as when running on OS X v10.9 or earlier). Once you update to the latest Android Emulator on macOS, you will also have access to the new snapshots UI along with under the hood performance and reliability improvements. On Intel x86-based computers, the Android Emulator will continue to use Intel HAXM by default. Intel HAXM is a mature and open-sourced hypervisor solution developed by Intel. Thanks to on-going development by Intel, the fastest emulator performance on Windows is still with Intel HAXM. To download the latest Intel HAXM v7.2.0, check for updates in the Android SDK Manager. Enable via Windows Features: "Windows Hypervisor Platform"
Intel Processor : Intel® Core™ processor that supports Virtualization Technology (VT-x), Extended Page Tables (EPT), and Unrestricted Guest (UG) features. Additionally VT-x needs to be enabled in the BIOS. For more setup tips and troubleshooting details, check out the documentation page. Again, for existing Windows users who have an Intel-based processor, the Android Emulator will continue to use the faster and recommended Intel HAXM configuration. For those using AMD processors, and those who use Hyper-V hypervisors, this should be an exciting step forward to start using the Android Emulator. 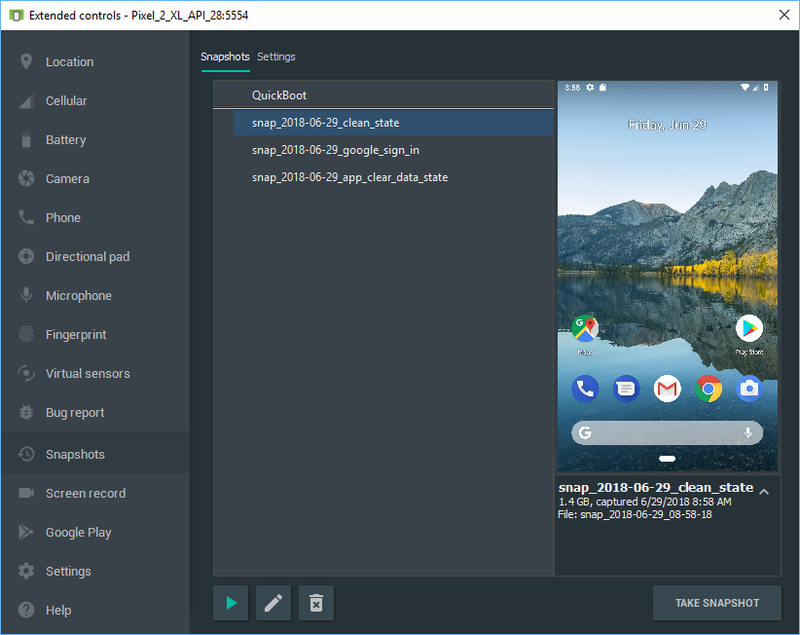 Download the latest Android Emulator from the Android Studio 3.2 Beta SDK Manager for the latest performance updates across all supported platforms that you are using. We are going to continue to invest in performance improvements for each of the platforms and we look forward to your feedback and feature requests. If you find a bug or issue, feel free to file an issue. 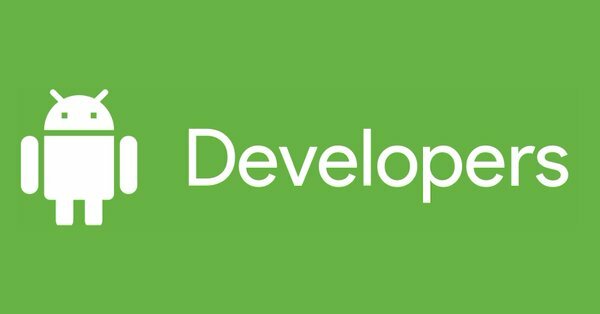 Connect with us -- the Android Studio development team ‐ on our Google+ page or on Twitter. Starting today, you can download Android Studio 3.2 Beta. Previewed at Google I/O 2018, the latest release of the official Android IDE is focused on helping onboard you to all the new features launched around Google I/O -- Android JetPack, Android P Developer Preview, and the new Android App Bundle format. 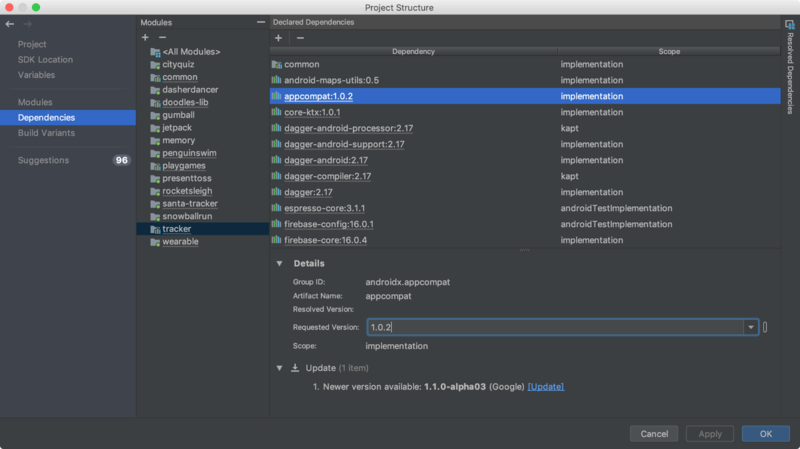 There are also several other exciting new features included in Android Studio 3.2 to accelerate your app development, such as Emulator Snapshots and the Energy Profiler. As the usage of Android Studio has grown in the 3.5 years since version 1.0, we have also become increasingly obsessed with quality. We continue to invest in quality because we know that millions of app developers spend almost everyday in Android Studio and need a reliable set of tools. Stability, build times, and other quality work will be the primary focus for our next release once we finish Android Studio 3.2. We also did not want to wait, so we have made checkins to address memory leaks and performance issues as well as fixed more than 450 bugs. Thank you for the continued feedback and please keep it coming so we can focus on the areas you care about most in the next version of Android Studio. If want to try out the latest features, and assess the improvements in quality, you can download Android Studio on the beta release channel. 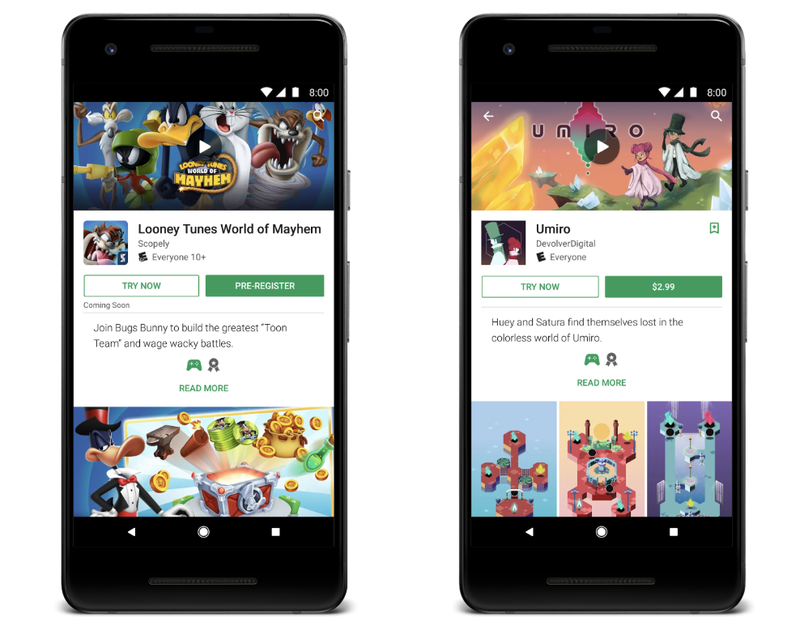 Android App Bundle support - The Android App Bundle is a new publishing format that uses the Google Play's Dynamic Delivery, which delivers a smaller, optimized APK that only contains the resources needed for a specific device. Without any code changes, you can take advantage of the app size savings of an Android App Bundle by navigating to Build → Build Bundle / APK or Build → Generate Signed Bundle / APK. Emulator Snapshots - With Android Studio 3.2 you can create snapshots at any emulator state and then start a snapshot in under 2 seconds. You can pre-configure an Android Virtual Device (AVD) snapshot with the apps, data and settings that you want and then repeatedly go back to the same snapshot. Learn more. Energy Profiler - The new Energy Profiler in the performance profiler suite can help you understand the energy impact of your app on an Android device. You can now visualize the estimated energy usage of system components, plus inspect background events that may contribute to battery drain. 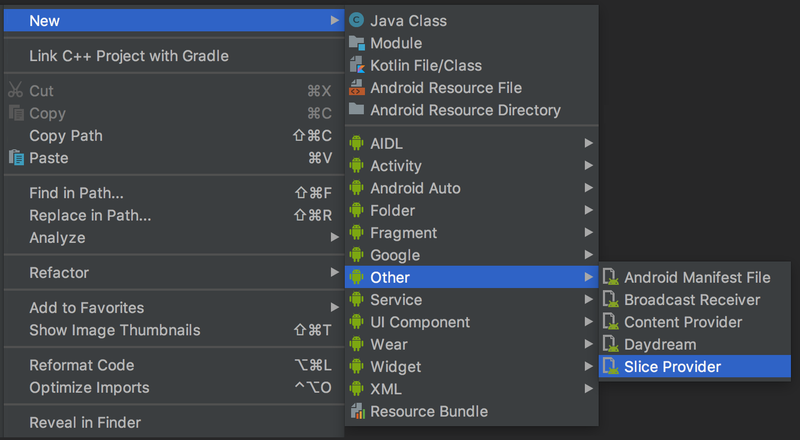 An overview of all the recent features in Android Studio for Android app developers. The session includes demos and a tour de force presentation of relevant features that will accelerate developers' workflow on the latest Android APIs. A deep dive into the new features of the Android build system. This session covers the new features in ConstraintLayout 2.0, as well as the latest functionality added in Android Studio design tools, highlighting how to effectively take advantage of them for designing, prototyping, and building a graphical user interface application. This talk demonstrates how to diagnose and troubleshoot performance problems with your app using Android Studio Profilers. It covers examples of how to use the CPU, memory, network profilers, and highlight what's new. This session discusses in-depth what is happening to the various compilers used in Android: Java 8 language feature desugaring, the new dexer (D8) and shrinker (R8), and work done on the Kotlin compiler for Android use. This session discusses how to use the Navigation Editor in Android Studio, XML or the Java API to define your navigation graph, and how that simplifies navigating around your app and handling deep linking. 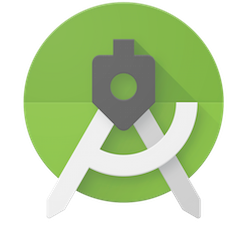 Download the latest version of Android Studio 3.2 from the beta channel download page. If you are using a previous versions of Android Studio, make sure you update to Android Studio Beta 1 or higher. If you also want to maintain a stable version of Android Studio, you can run the stable release version and beta release versions of Android Studio at the same time. Learn more. To use the mentioned Android Emulator features make sure you are running at least Android Emulator v27.3+ downloaded via the Android Studio SDK Manager. Please note, to ensure we maintain product quality, some of the features you saw in the canary channel like Navigation Editor are not enabled by default. To turn on canary release channel features go to File → Settings → Experimental → Editor → Enable Navigation Editor.